Do you suspect nursing home abuse for your loved one? We can help you get justice. While many people treat the elderly with dignity and respect, some people do not provide the standard of care we expect for our loved ones. The elderly are particularly vulnerable to abuse and neglect in nursing homes because they do not have a consistent advocate at their side to look after their well-being all the time. A study by the Special Investigations Division of the House Government Reform Committee found that nearly one in three residents at nursing homes suffered abuse, but only 1 in 14 cases of abuse get reported to the authorities. If you suspect that someone you love is suffering from abuse in a Nashville nursing home, call the dedicated nursing home abuse lawyers at Whitfield, Bryson & Mason. We can help put a stop to the abuse and get the justice your loved one deserves. Bedsores – When a person spends long periods of time laying or sitting down in the same position, they are at an increased risk of developing bed sores. Bed sores are injuries to the skin caused by prolonged pressure. Bedsores in nursing homes can be easily avoided by ensuring all patients receive an adequate amount of movement, exercise, or change in positions frequently. Dehydration – Because residents in nursing homes rely on the staff for even the most basic needs, they are put at risk for suffering from dehydration if the staff does not provide them with plenty to drink. Inadequate sanitation – Some residents in nursing homes may suffer from incontinence or rely on nursing home staff for taking baths or showers. When a nursing staff is not attentive to a resident’s personal needs, residents can be left in unsanitary conditions. Malnutrition – Some residents in nursing homes may have dietary restrictions or requirements that need to be met in order for them to be in their best health. When a nursing home facility fails to provide nutritious meals, residents can suffer from malnutrition. Unexplainable bruising – Bruises can be the most apparent sign that nursing home abuse has occurred. Bruises might have the shape of a human hand and appear on arms or shoulders. If someone you love has unexplainable bruising in a nursing home, immediately call the police and contact a nursing home abuse attorney. In addition to the physical abuse the elderly might experience in a nursing home, they may also become victims of emotional, financial, or sexual abuse. Residents in nursing homes are more likely to develop depression and harm themselves if they are subjected to verbal abuse. This can lead to a worsening in their physical condition and even premature death. Financial abuse can also occur in nursing homes when patients are being forced to pay for care they don’t need or being forced to overpay. Because the elderly are usually physically unable to defend themselves and/or mentally unable to give consent, they can also sadly become victims of sexual abuse. Elders who have been abused have a 300% higher risk of death than elders who have not been mistreated. 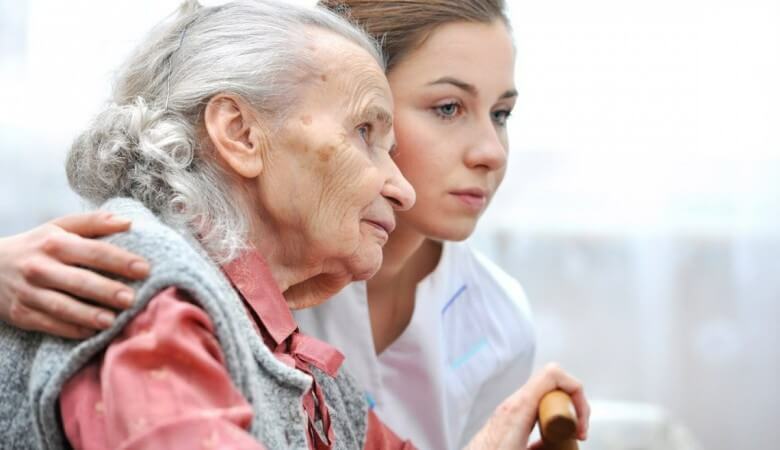 The Tennessee Department of Health has strict guidelines that establish minimum standards of care for residents at nursing homes and assisted living facilities. In addition, federal government agencies like Medicare and the U.S. Department of Health and Human Services help regulate these facilities to prevent instances of elder abuse. If abuse does occur, it should be immediately reported to the authorities. Our elders deserve to be treated with respect. If you believe your loved one is showing signs of elder abuse, immediately contact the Nashville nursing home abuse attorneys at Whitfield, Bryson & Mason. Our nursing home abuse attorneys will doggedly pursue responsible parties and take them to court to hold them accountable for their abuse and negligence. Call us today for a free and confidential consultation.